"Under the New Mexico Skies"
March 25, 2009, Governor Bill Richardson signed legislation declaring Under the New Mexico Skies as the first official cowboy song. The song was composed by Syd Masters of Edgewood, NM. This song was selected at a songwriting competition sponsored by the New Mexico Music Commission at the Western Music Association's music Festival in Albuquerque in November 2007. Out under New Mexico skies." Origin of Song: "New Mexico Skies"
In 2006, New Mexico State Representative Gloria C. Vaughn, Alamogordo, introduced House Bill No. 232 (HB 232) in the House of Representatives. HB 232 proposed that the song "New Mexico,"by Calvin Boles and R.D. Blankenship be named as New Mexico's official cowboy song. It died. Representative Vaughn was back in 2007 however. Again, she offered "New Mexico"as the official state cowboy song in House Bill No. 81 (HB 81). But this year Rep. Vaughn could not even persuade the House to vote on her bill. At this point Rep. Vaughn stepped back and, evidently, rethought her approach. On the day after the House Energy and Natural Resources Committee signed off on HB 81 "Without Recommendation,"Rep Vaughn introduced House Memorial No. 70 (HM 70) calling for a competition to determine an official cowboy song for New Mexico. 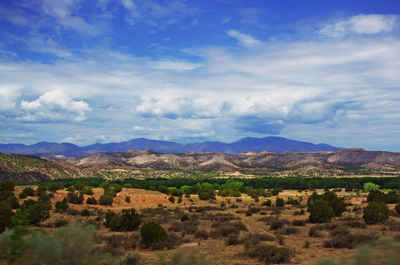 HM 70 set the stage for adoption of "Under New Mexico Skies" in 2009. COMPETITION FOR COMPOSERS OF A STATE COWBOY SONG. BE IT FURTHER RESOLVED that a copy of this memorial be transmitted to the New Mexico music commission, the governor and each country-western radio station in the state. 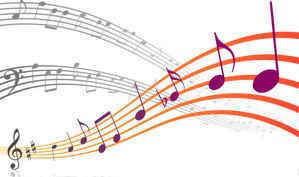 The New Mexico Music Commission accepted the charge requested of them by HM 70 and, on November 15, 2007, Representative Vaughn kicked off the competition at the Western Music Association's International Music Festival in Albuquerque. By the end of November, 2008, a song had been chosen. Introduced on January 28, 2009, House Bill No. 389 (HB 389) proposed that "Under New Mexico Skies," by Syd Masters be named New Mexico's official state cowboy song. With the backing of the New Mexico Music Commission, HB389 sailed through the legislature and was signed into law by Governor Bill Richardson on March 25, 2009. History: Laws 2009, ch. 28, § 1.